Whiteside's 8 Pc. Engraving Set is designed for small CNC hobbyists who want to make both 2D or 3D carvings. All types of projects will appear visually stunning with the many engraving options that exist from this one kit. 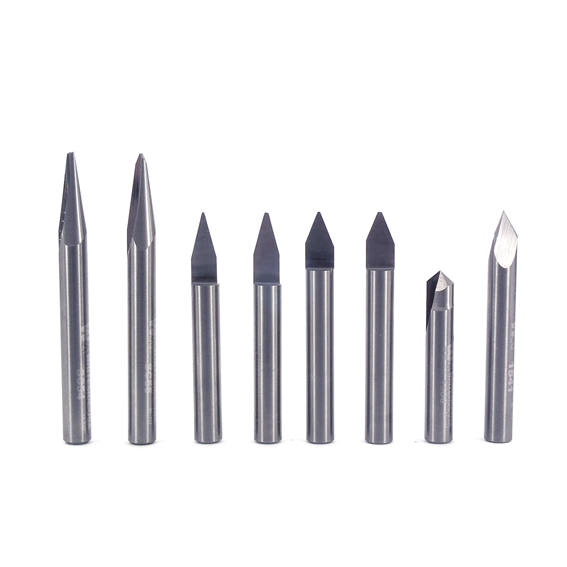 Set contains eight 1/4" Engraving bits with an included angles ranging from 15° to 90°. All Bits are solid carbide or carbide tipped, have a 1/4" shank. Set comes with a plastic storage case. Whiteside Machine Company - Claremont, North Carolina.